DENVER, Sept. 30, 2014 /PRNewswire/ -- TeleTech Holdings, Inc. (NASDAQ: TeleTech), a leading global provider of analytics-driven, technology-enabled customer engagement solutions, today will host a Grand Opening of its new customer experience center in Jonesboro, Arkansas The ribbon-cutting event, in conjunction with the opening of TeleTech's first Arkansas center in Sherwood in July, continues to affirm TeleTech's commitment to providing employment opportunities in the state and throughout the U.S. The new center supports a leading healthcare insurance company and will initially create more than 150 jobs within the Jonesboro community, with the ability to expand up to 600 positions. TeleTech is actively hiring customer experience representatives, team leads, trainers, recruiters, technical assistance and IT specialists, operations managers and facilities staff. Job fairs will be held on Oct. 1 and 2 from 10 a.m. to 4 p.m. at the Jonesboro site located at 2908 S. Caraway Road for interested candidates to learn more about opportunities for employment. "As an award-winning global company, we distinguish all of our worldwide customer experience centers from our competition through our exceptional workforce training programs and quality employee production environments," said Todd Baxter, SVP of Global Operations at TeleTech. "In Jonesboro, our associates have access to health benefits, performance incentives and flexibility in schedules. TeleTech is also committed to internal leadership development programs to help promote employee growth and development." "We appreciate the confidence that TeleTech has demonstrated in our community by opening this great customer experience center. We look forward to working with the company as they continue to grow in Jonesboro," said Jonesboro Mayor Harold Perrin. TeleTech has been a global pioneer in the customer experience industry for more than thirty years. 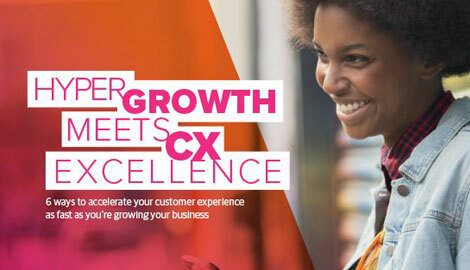 Its technology-enabled services platform delivers a seamless customer experience across all channels and phases of the customer lifecycle to build customer loyalty and increase lifetime value. For more information about TeleTech and to apply to work at the new Jonesboro center, please visit TeleTechjobs.com.